1800mm x 1800mm 90 degree shared Nimble workstation with 2x 600mm and 750mm deep worktops. Fixed height (715mm) frame finished in white or black powdercoat. Commercial-grade 25mm worksurfaces are constructed from E1 board and finished in White melamine and New Oak with matching PVC edge. Compatible with Studio50 screens (with or without cable management). Optional cable trays are available. 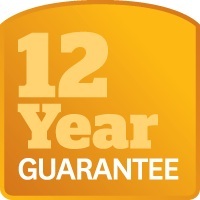 12 Year Guarantee on frame.